This week’s Three Minute Podcast is all about outsourcing. 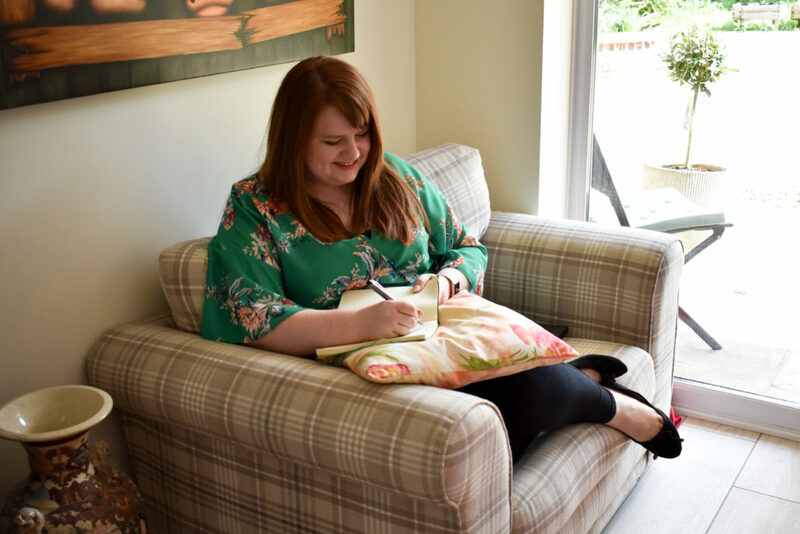 It’s come from a couple of conversations I’ve had recently – one with my mum about how to make more time, and one with Sally Todd about how to expand your business when it’s just you in the driving seat. I’ve been looking at how to expand my business for a while, but I’ve been somewhat limited by how much time I’ve got – especially when you add chores, a new fitness regime and a social life into the mix. So, I’ve been looking at how I can outsource some elements of my life so I can focus on the bits I enjoy, and I’m passionate about (I’m not passionate about cleaning. Definitely not. Hence why this is the area I’m outsourcing). Financially it’s a good decision too, as those four hours I get back a month mean I can work more and therefore earn more. Time is money and all that. This is one area that Americans are much better at – there’s almost a pride thing in the UK, that you have to be a superwoman and do EVERYTHING. Got three minutes? Take a break, grab a Kitkat and enjoy this week’s three minute podcast. Then, let me know what part of your life you’d outsource in the comments! If you’re reading this in Google Reader, you can listen to the podcast here. P.s over on the Facebook page, we’ve had some interesting suggestions. Who wouldn’t want a personal chef and a chauffeur? 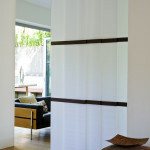 Earlier this week, I was contacted about some sliding panels you can have in your home to divide a room. I know quite a few freelancers and home workers reading this won’t have the luxury of an office area at home, or a room they can get some peace and quiet in, so this seems like a great alternative. Install the sliding panel across a section of your room (for example, if you have a large lounge or spacious spare room), and you’ve got instant office space. Then once you’re done, you can slide it back across again. 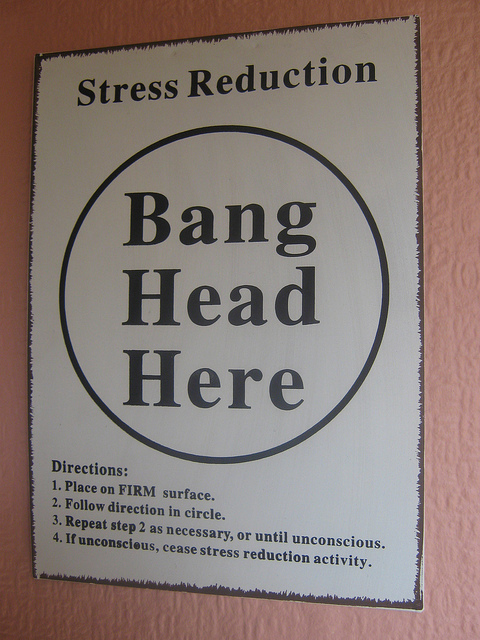 Actually, can I have one of these in every room to hide my untidiness behind? A tidy side for guests, and an untidy side where the clothes bomb has gone off? The panels are from The Fabric Box, and there’s a ridiculous amount of choice. Here are a few of my favourites below. How do you create an office space at home? At one point or other, all freelancers have to deal with The Difficult Client. Every difficult client is different – there’s the fussy clients (you will literally never please them), the ‘always one last thing to do that’s not part of the original contract’ clients, the never-reply-to-email clients or, my least favourite, the never-pay-on-time clients. In an ideal world, we’d all love to avoid difficult clients. It’s great to have some clients that push us to constantly improve, but those ones that drain us and take up more time than they should are only worth going for if you’re passionate about the cause – or, to be realistic, they pay the bills. How do you deal with difficult clients? Strict no-go policy, or work on a case-by-case basis? Vote in the poll below, then let me know your experiences with difficult clients! What’s your worst client experience? Last week, the Weekly Freelance Challenge was to try and fit in half an hour’s exercise each day. I managed to do that last week, thanks to a combination of 15 minute yoga sessions first thing, lunch time walks, two gym work outs, one with my sister, bowling with the fiancé and a lot of shifting boxes at the weekend for a car boot sale! I actually find it easier to fit in a little bit of exercise every day, rather than just doing it on certain days, as it begins to feel like part of my daily routine. This week, my challenge is all about Twitter. The Twitter bio to be exact. I wrote mine ages ago, and although I occasionally tweak it, I often forget about it. So this week, the challenge is to have a read of your Twitter bio, and give it an update if you think it needs it. Think about what other people might like to read, especially as it’s often the decider for whether someone will follow you. Does your bio properly represent you? Don’t forget to throw in some keywords about your business to make it easier for people to find you. (If you don’t have a Twitter bio, check out your Facebook About Me section, or your About section on your website. Once you’re done, let me know how you’ve got on in the comments! Work in an office? Chances are, you probably spend a decent amount of your week in and out of meetings. In previous jobs, I used to watch colleagues jump from meeting to meeting with various different departments. Often, the meetings were only useful for one member of the team, or involved lots of dithering about. I went to a few of these meetings (perk of the job is that I didn’t need to attend too many), and found them…well, generally pointless. More often than not, they had little structure, failed to resolve an issue and went on for much longer than they needed to. Emails. Got something to tell everyone? Sometimes, an email is better than asking everyone to take an hour out of their day. If no one is reading your emails, it might suggest you need to change the way you’re writing them. Interactive software. There are plenty of interactive software packages and tools around that can help businesses communicate with each other without being away from their desks. Yammer is a sort of social media network for businesses, so people can post ideas for others to see, and comment or contribute. You could also use EverNote, Springpad or Campfire. Get creative! Have a meeting – but give it a time limit: Do you really have to have an hour’s meeting on that topic? Too often, the purpose of a meeting isn’t outlined clearly before, which means half the meeting is spent going over old ground. Set a short time limit, say half an hour, ask your attendees to read the material before they come to the meeting and come with ideas, and give everyone five minutes to discuss their point of views. Anything that doesn’t fit into that time can be discussed over online collaborative software (see above) or email. There’s a great post on Lifehacker about reducing meeting times to just 10 minutes – thanks to some clever forward planning. 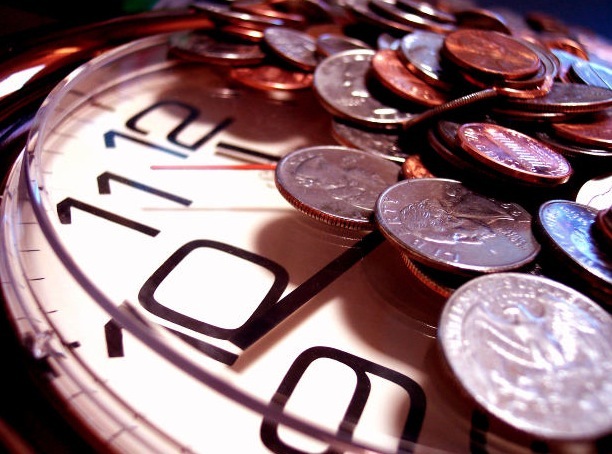 Time is money after all, and the more time you spend in meetings means less time making money! Keep irrelevant chat until after the meeting. There’s nothing more soul destroying than listening to someone drone on about something that isn’t relevant to the meeting content. 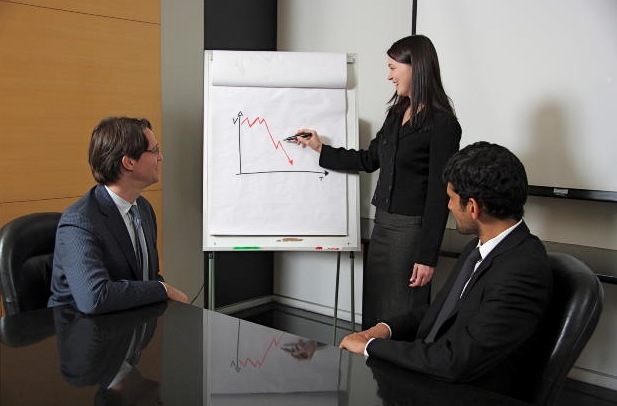 If you’re running the meeting, firmly (but politely) stop them and explain that you can discuss that at a later time. Chances are, the rest of the attendees will silently applause you. Outline your expectations of good manners. Tardiness and the constant use of phones and iPads in meetings can wind up other attendees. Regular tardiness to meetings is disrespectful to everyone else who has made the effort to arrive on time, and tapping away through your emails shows you’re not engaged. Finish the meeting with a summary of what’s been said, and a list of suggested actions. Follow up those actions a few days in an email, perhaps with meeting minutes to refresh memories. In general, I rarely have to have meetings these days as a freelancer. They usually happen at the start of a working relationship, and the rest of the time I mainly use Skype or email to communicate each way. Obviously that’s not for everyone, and varies from business to business. A monthly catch up meeting might suit your business down to the ground. See what works for you. How do you feel about meetings? Do you have any handy tactics for making them more effective? I’d love to hear them in the comments! Poll: Where do you find most of your clients? 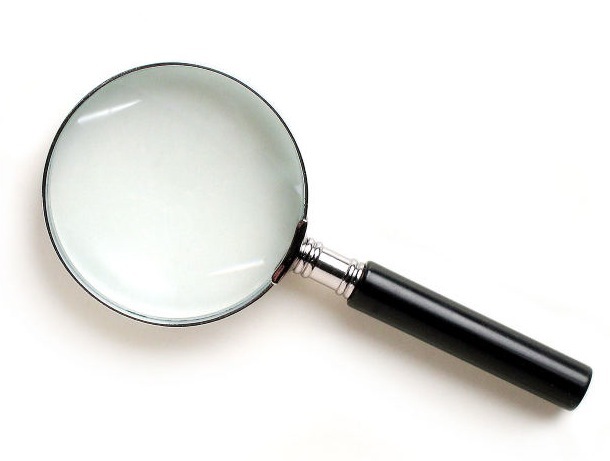 One of the things I get asked most often about freelancing is how to find new clients. The truth is, it’s a real mix of things. Originally most of my clients came from Twitter and word of mouth. Now, I tend to get more from networking events like Ladies Who Latte and through my blog/website thanks to a bit of SEO. I don’t really believe you can rely on one type of client attraction method, unless your market or industry is really niche. The more you put yourself out there, the more client enquiries you should get! I’d love to know how you’ve all built up your client base. How do you find most of your clients? Are you all about the offline networking, or do most of your clients find you thanks to Google and Twitter? Leave your vote below, then let me know what your favourite way is to find new clients. Confession time people: I’m not a natural fitness fan. I’m more commonly found on a sofa than doing yoga. But with falling energy levels, poor health and an upcoming wedding, I’ve had to re-assess my previously lazy routine. Plus, all the evidence suggests that regular exercise will improve concentration levels, productivity, reduce stress and . So getting more exercise really is good business sense. 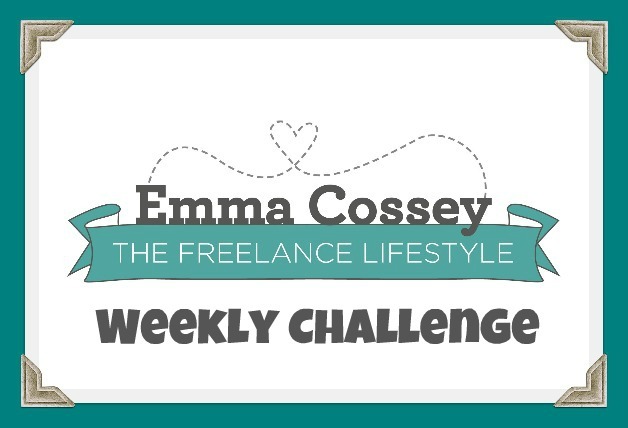 Therefore, this week’s weekly freelance challenge is a somewhat selfish one. I’d like to challenge you (and me!) 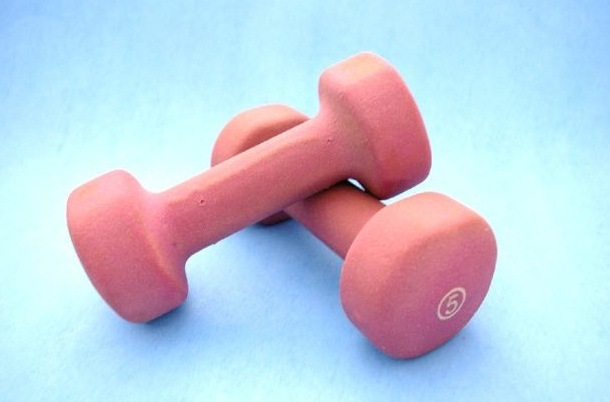 to do 30 minutes of exercise each day of the working week. I’m already working with a personal trainer twice a week as I’ve got a fair bit of weight to shift in order to be healthy again, but for most people half an hour a day is quite achievable. A workout class – book ahead if you can so you’re committed to going. A session on the Wii or Kinect. Several of the Just Dance workout videos have timed workouts to make it easier, and I think some of the sports ones do too. Put your favourite music on and dance round the house. Split the half an hour into sections, doing five minutes of exercise each hour. How do you fit exercise into your daily routine? Get it over and done with first thing? Or take a lunch break away from your desk to work those muscles? This past week has been a busy one. Busy in a fun way, busy in a scary way, busy in an exciting way. Next up, The Bag Lady got an app! 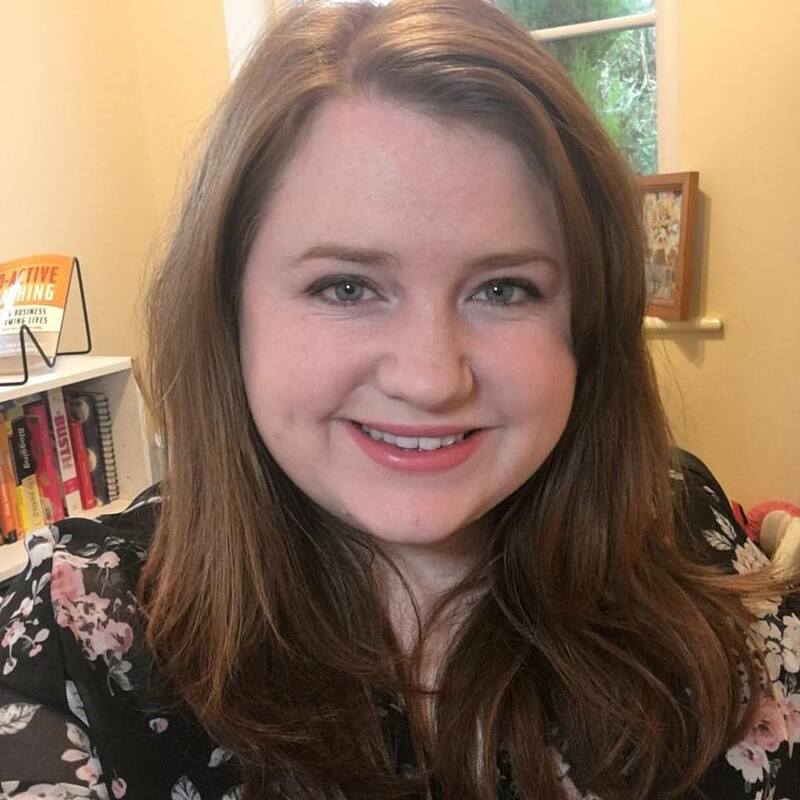 I’ve been editor of The Bag Lady for a year or so, and I’ve been writing for Aigua Media, the network TBL is part of, for over three years. So it’s exciting to see all the sites (Catwalk Queen, Crafty Crafty, Shoewawa, Dollymix, Kiss and Make Up, Trashionista, Star Trip and The Bag Lady) go mobile. You can download the app on all mobile and tablet platforms, for regular (and live) updates from the blog. On the right is a little screen grab of how it will look on the iPad. 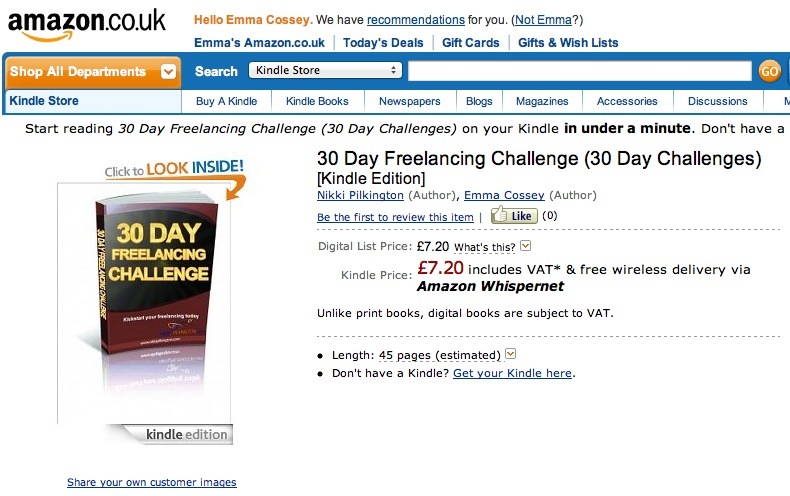 Well, my 30 Day Freelancing Challenge eBook is. You can now buy my eBook through the Amazon store, to read on your Kindle when you’re on the go if you so wish. If nothing else, my mum is excited she can tell people my book is on Amazon, and not have to explain what blogging is. BuyaPowa got in touch to ask for a recommendation for their festival products. So, if you pop over there now, you can see it in the Coming Soon section. It should go live next week, but you can pop your email in there to get an alert when it’s ready. If you’re not familiar with the co-buying concept, check out my earlier post on BuyaPowa. Aside from all that, I’ve picked up a couple of new clients, so I’ve been adjusting to the new workload. I’m hoping regular blog posting here will resume soon, now that I have an idea of how much free time I’ve got. I’ve also got some interesting guest posts coming up. If you’ve got any particular topics you’d like to see covered, please do leave me a comment below, or give me a tweet. Have you had any exciting news recently?